“Harvard Beats Yale 29-29” is a difficult film to review. We get to see a play by play recollection of a great nail-biting game of football. But while the game is great and had me on the edge of my seat, the film is rudimentary and barely anything better than what we see on “NFL Films”, which, ironically, is more cinematic than Rafferty’s. Kevin Rafferty recounts for us one of the great U.S. College football matches – a regular season game between Ivy Leaguers Harvard and Yale in 1968. In traditional documentary fashion Rafferty intercuts the chronological order of the game with the interviews of the participants. A familiar face is Tommy Lee Jones, who actually played on the Harvard team. The others are average Joes who grew up and became regular anonymous people, but still retained the minute details of every aspect of this memorable game. In the first half Rafferty devotes much time examining the historical context of the time. It was 1968 during Vietnam, the many campus protests going on, birth control and so on. Yale, ultraconservative, contrasts against the rebellious liberals of Harvard. And it so happens that George W Bush was in Yale at the time and Al Gore was in Harvard at the time. In fact, Mr. Jones roomed with Gore. But apart from one funny anecdote from Jones about Gore, the President and former Vice-President are just minor footnotes to the main action. The second of the film concentrates solely on the game. Via the play by play TV coverage we get to relive the intense drama of the sport rise to awesome heights. An interesting note is that Rafferty was Michael Moore’s cameraman on “Roger and Me” and ironically a cousin of George W. Bush. But for a cinematographer Rafferty’s videography is barely a notch above a student film. And his chosen interview locations don’t do anything to idolize these once great players. Take a note from Errol Morris, the master of sit down interviews. The background of one’s subject is an important visual tool. And since Rafferty’s film is over 50% talking heads, the blandness of the various kitchens, home offices, libraries and suburban backyards weighs down the cinematic aspects of the film. And Mr. Rafferty, you even have Tommy Lee Jones in your film – you should be able to afford a better cinematographer at least. But Rafferty stubbornly does everything himself – write, shoot, edit, sound. To the film’s credit, the Yale and Harvard teams do have some fun personalities. 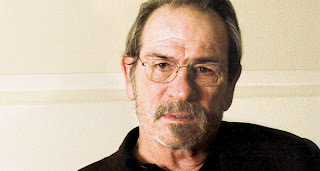 Tommy Lee Jones is a star, and it’s fun to watch his drole sense of humour frustrate the interviewer. Mike Bouscaren is the highlight. A key Yale player who becomes the film’s ‘villain’. Rafferty is clever to bring out his enormous ego from beneath his soft spoken and quiet interior. “Harvard Beats Yale 29-29” is a great game but adequate filmmaking and I expect more from TIFF Documentary.